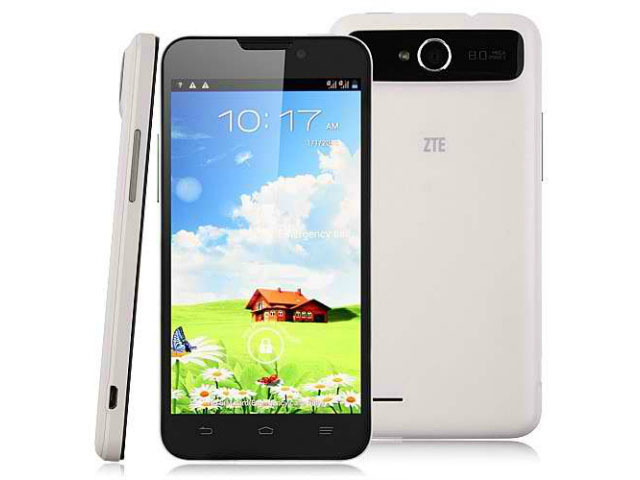 ZTE is one of those international brands with an eye for the budget segment. They recently released a couple of entry level smartphones in the form of the ZTE Blade C and ZTE Blade E, but if you’re looking for something close to a flagship level experience without shelling that much over Php10k, the ZTE Grand X Quad might be more your style. The ZTE Grand X Quad rocks much better specs than the other two co-releases. Naturally from it’s name, it sports a 1.2GHz quad core processor from MediaTek. No confirmation as to the specific model, but it’s likely to be the MT6589 that a lot of local flagship phones are rocking. It also sports a 5 inch OGS HD screen, 1Gb RAM, 4Gb of internal storage, an 8mp autofocus primary camera and runs Android 4.2 Jelly Bean out of the box. The specs are fairly competitive with other flagship phones in the market from local brands such as the Cherry Mobile Omega HD 2.0, MyPhone A919i Duo and O+ 8.15. One advantage is that the Grand X Quad is from an internationally recognized OEM, but other than that, there isn’t anything new. Still, if you’d rather go with an international brand rather than a local one, the Grand X Quad is a good option.